Last October, I attended the Oneida Food Sovereignty Summit in Wisconsin, a terrific event where several eventual Seeds, Soil & Culture partners made presentations. One of these was Cynthia Wilson of Utah Diné Bikéyah (UDB). 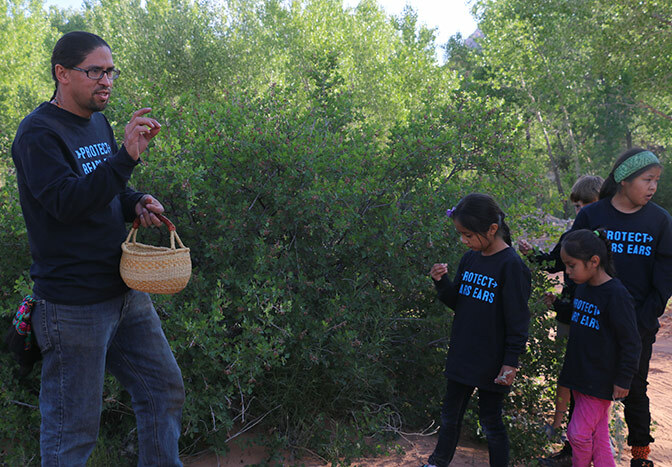 True to its name ─ Diné Bikéyah means “people’s sacred lands” in the Navajo language ─ UDB’s work has long focused on the land areas of Bears Ears National Monument in southern Utah. It is a native-led organization that advocates indigenous conservation of the Earth through healing social, environmental, psychological, and physical issues that conjointly affect people and the Earth. UDB’s approach is to identify cultural values and priorities that are indispensable in regional land management planning. UDB believes that natural landscapes and elders are their communities’ best teachers of kinship, humility, and gratitude. In her talk, Cynthia referred to all these aspects of UDB while explaining its new Traditional Foods Program of which she is director. 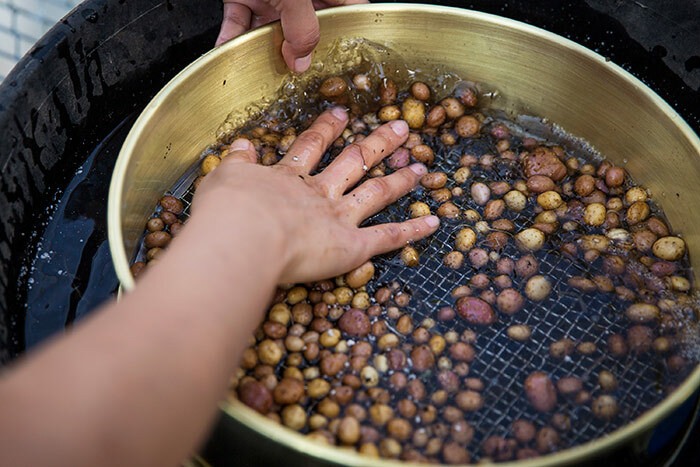 UDB’s Traditional Foods Program aims to reconnect people in the region to ecologically and agriculturally intact landscapes to revitalize their food heritage. 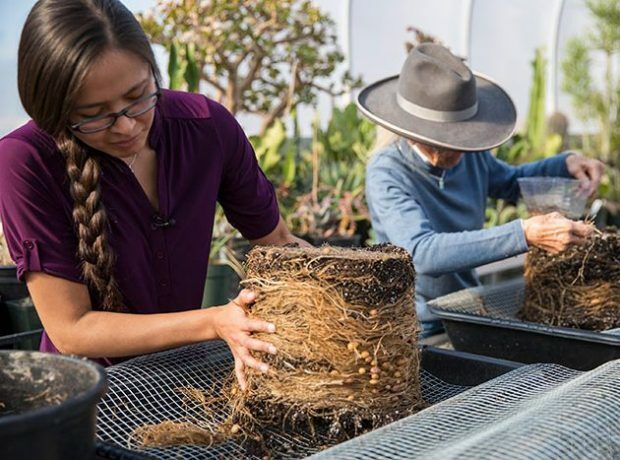 Native Tribes in the Bears Ears region have many centuries of experience in sustainable gathering, hunting, farming, and nurturing of wild food crops. People of the Bears Ears region have the inherent wisdom to heal challenges they face and the collective will to take action. This spring I again met Cynthia, and UDB Executive Director Gavin Noyes, in Bluff, Utah, to talk about the Traditional Foods Program. To my surprise, Gavin asked if I would like to hike for an hour or so in Bears Ears. Of course, I said yes. Gavin and Cynthia told me that several hundred runners participating in a four-day “Sacred Strides for Healing Prayer Run” would converge that day in Bluff and continue to a campsite in Bears Ears for the final day. 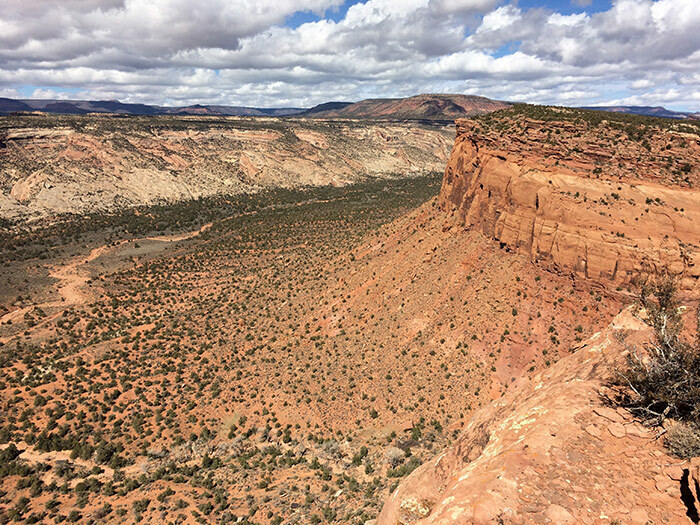 The Prayer Run is a way the Tribes who were involved in establishing, expanding and defending the Bears Ears National Monument might honor their collaborative efforts while paying tribute to the environment and their cultural heritage. On our hike through pinon pines, yucca plants, and mind-expanding vistas, we were able to see the runners from quite a distance above the deep, wide valley where they ran, a spectacular sight (see photos below). The landscape of the region is truly beyond beautiful and it feels sacred just to be there. Ute, Navajo, and Pueblo peoples have lived here since time immemorial. Hillside cave dwellings and petroglyphs are common in the landscape. It is a fortunate development and a pleasure that Seeds, Soil & Culture and Utah Diné Bikéyah are now project partners. Seeds, Soil & Culture is looking to support fledgling projects such as the initial work of UDB’s Traditional Foods Program. That we are able to support, from a cultural perspective, ongoing efforts to conserve all that Bears Ears National Monument is meant to represent is very gratifying to our team.